Who do we work with? 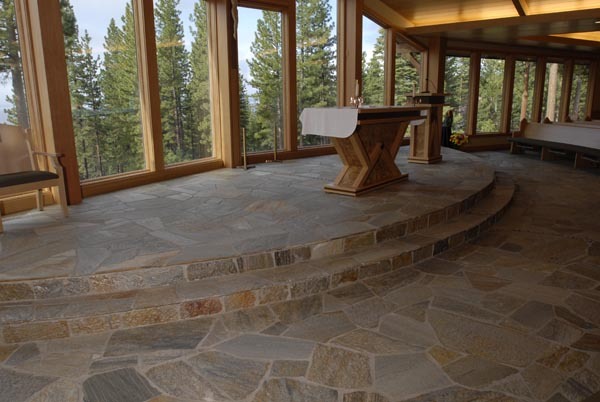 With its time tested durability and natural beauty, it's easy to see why natural stone flooring is a popular choice among homeowners. 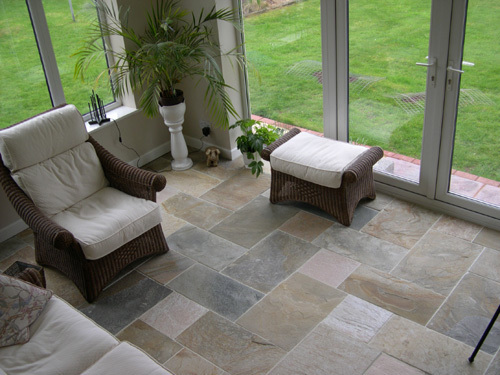 Natural stone floors are easy to care for and regular maintenance will not only improve their beauty, but also extend the life of your investment. 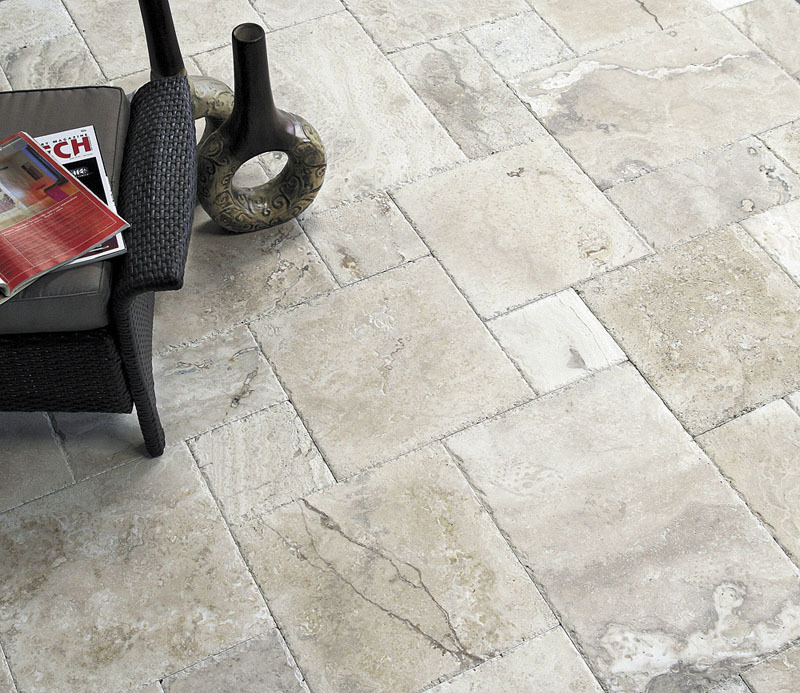 Both humans and pets can track in dirt and grit, which are abrasive and can scratch the finish on your natural stone flooring. Regularly sweep your floors to prevent scratching. 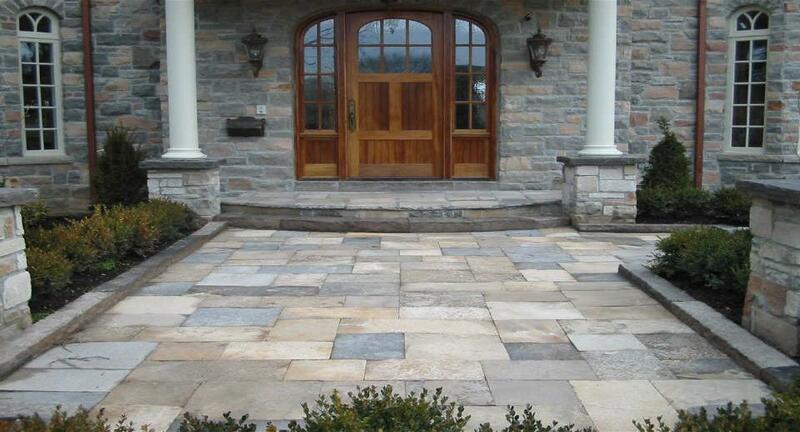 Use doormats at frequently trafficked entrances and exits to your home to keep dirt and debris at bay. An untreated dust mop or broom is useful for removing grit and dirt. Avoid vacuums with beater bars; these can damage your floors. Don't let spills to go untreated - attend to them quickly! Avoid dragging heavy furniture across the floor when redecorating. 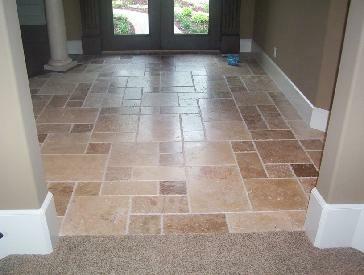 Care and maintenance are essential in keeping your floors beautiful and preventing wear and damage. 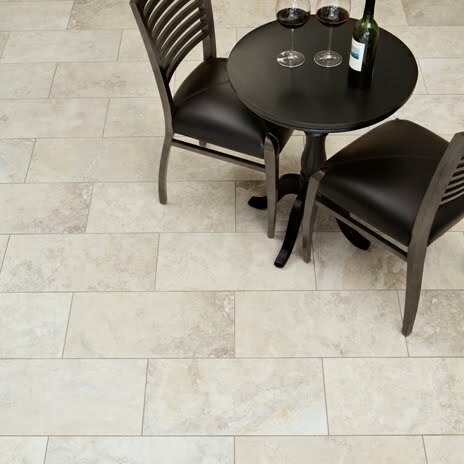 When spills occur, these guidelines can help you care for your natural stone flooring properly. Blot spills immediately and use a neutral pH detergent and warm water for regular cleaning and spot treatments. Rinse away soaps and cleaners with warm water and dry with a clean, cotton cloth. 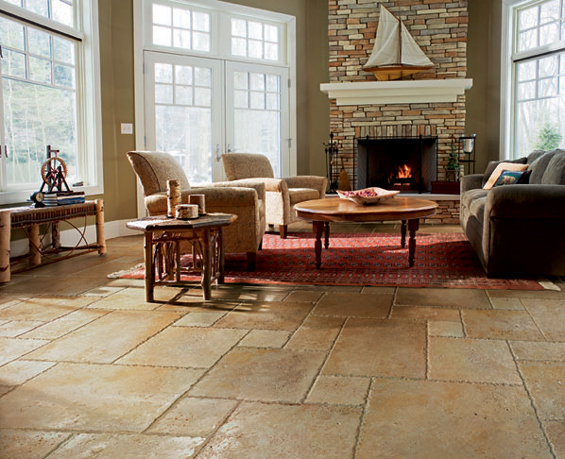 Do not clean with abrasive or harsh cleaners; these products can scratch your stone floors. 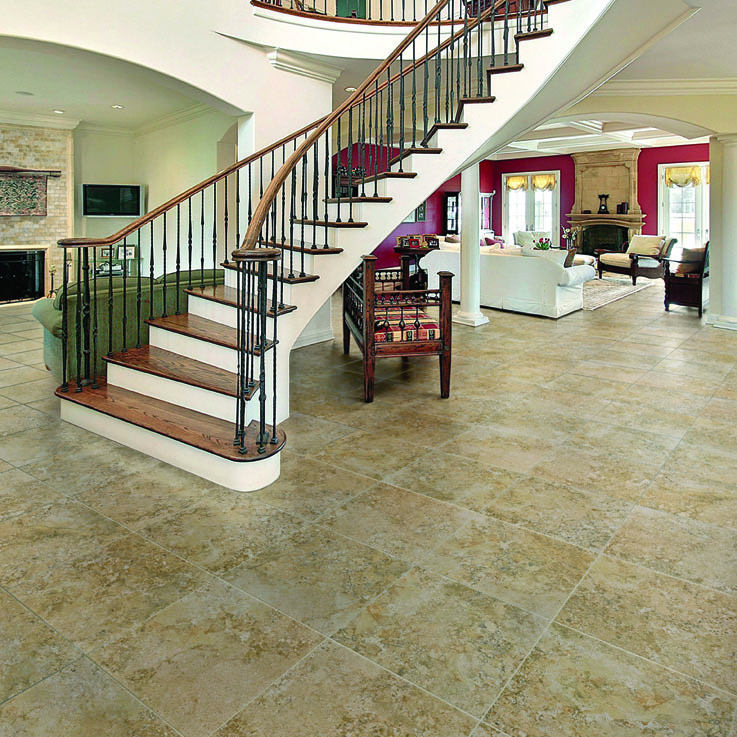 Avoid retail grout cleaners, bathroom and tub cleaners or steel wool. Designed by Alecan Marketing Solutions.